Children, gun safety, preparedness, prepping and more! 3 Most Important Survival Skills for Kids (Preparedness). June 18, 2015 UncategorizedKermit Jones, Jr.
Trust me – it’s hard to only pick three. Especially when there are so many “skills” to choose from. Truth is, I have a much longer list, and though there are many important traditional skills like fire, shelter, and food, I want to take a minute to look at more non-traditional skills. Top three things to teach your kids for this round are 1) critical thinking, 2) self-efficacy, and 3) safety. Those might sound a bit fancy for some, but I think they really capture the gamut of skills we need to succeed from an “attitude and approach” perspective – and not just for survival – these work for life! 1) Give someone a problem and the tools to solve it and you may only be half-way to a solution if they can think critically and apply problem solving thought to the situation. I’m amazed at how often I see people taught what to do (or even what to think), but they aren’t taught why or how to arrive at said conclusion. And that problem plagues our society from areas like church all the way through colleges and universities. 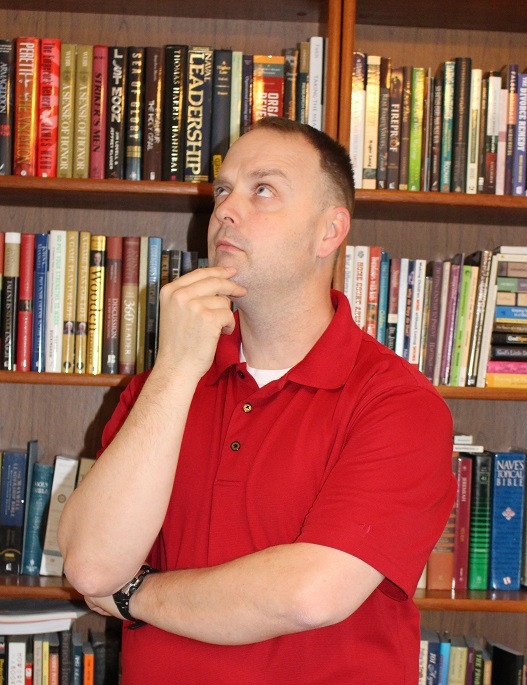 Few pastors encourage tough questions about faith and its application to life. Few professors give good grades to independent thinking student who question what they opine to be right. Furthermore, few parents talk to their kids and ask, “how would you approach a problem of x, y, or z?” And that EXACTLY what we should be doing to ensure they understand! 2) Self-efficacy may sound like a snobby word, but it simply means the belief in one’s own ability to confidently approach and complete something. It’s not just confidence… it includes ability and a “can do” attitude. That means taking steps to remain calm, assess a situation, apply critical thinking skills, and then implement a solution. So that one little word, self-efficacy, has a really big impact when we ingrain into our kids, and it sets them up for success in life, as well as prepping. 3) Safety is also a skill, in my opinion, because it is a mindset that can be taught and practiced. In many prepping scenarios, medical help may not be available and a foolish, easily preventable mistake, could mean serious injury or even death. We take for granted things as simple as triple-anti-biotic ointment and even anti-biotics for an infection. TEOTWAWKI won’t be as easily forgiving. In the meantime, safety also can save lives, especially when we deal with firearms. Education is key for each of these “skills” – and I’m not talking about college. I’m talking about intent. It simply require authenticity and for someone to seek out knowledge. Have a question? Let me know here. Throwback… Tuesday? – Why write a Gun Safety Book (for kids)? June 16, 2015 UncategorizedKermit Jones, Jr. 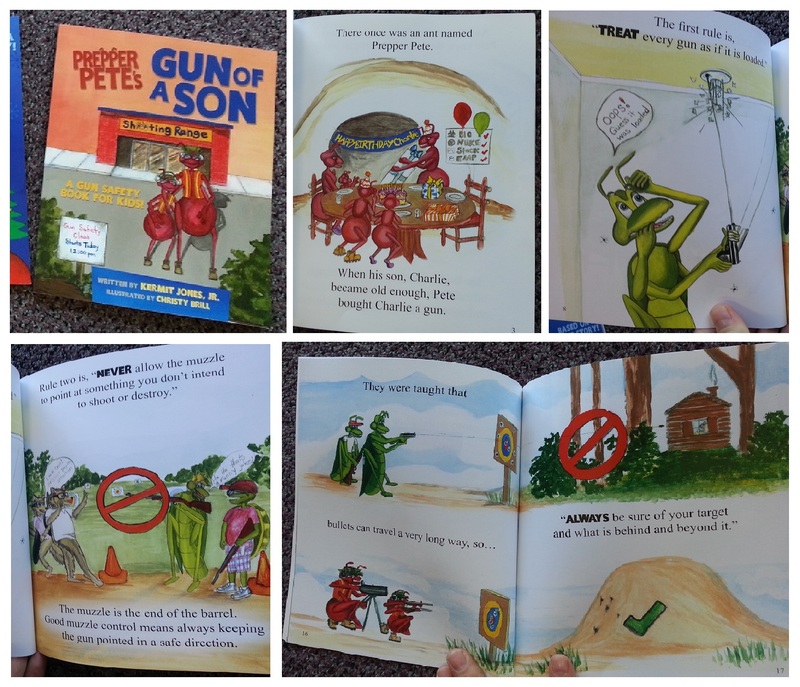 Recently, while discussing Prepper Pete’s Gun of a Son: A Gun Safety Book for Kids, I was asked, “What message does it contain that’s different from the first two books in the Prepper Pete series?” It’s a great question! It really goes back to why I even started the Prepper Pete series. I was faced with the task of explaining the idea of “prepping” to my own kids, ages 5, 7, 9, and 11. “Prepper Pete Prepares” started down that road and “The Twelve Days of Prepper Christmas” was really a fun detour. “Gun of a Son” brings the series back to the educational component, and one of my primary goals. And just like the first book, this one is the product of my own lessons and somewhat “newness” to the topic. While I’ve learned about firearms during my time in the military, I knew that I needed a more formal process for teaching my children. Yes, there is a lot of information out there, but I wanted something that I could teach them with in a relaxed setting, yet convey to time on the range. The NRA’s Eddie Eagle is great, but you’ll never see Eddie with a gun. And beyond that, there aren’t really a lot of “this is how you do it” books for children. So we bit the bullet with Prepper Pete and ended up with “Gun of a Son.” In all honesty, it’s also a detour from the original intent of the series, but I have to say that I’ve had a blast with it, my kids have learned a lot about safety, and I really think it’s going to take a life of its own. With regard to gun safety, I would point out that, if the saying “knowledge is power” has merit, then in the case of firearms, “knowledge is safety,” and safety is paramount. Knowledge and familiarity with guns for kids often helps avoid the “forbidden fruit” syndrome, which can create a safer environment. When they are an appropriate age, parents should work with their kids to familiarize them with firearms, and always stress the importance of gun safety. My kids all know, “If you want to touch a gun… just ask!” – it dispels the mystery… something all kids are intrigued with. Bottom line: I want to create a culture where we teach safety, not fear. “Gun of a Son” has focused on gun safety, and we’re working on “Gun of a Son, Too!” that will focus on gun information for parents who want that option, as well. October 11, 2014 UncategorizedKermit Jones, Jr. Looking for an easy way to win a FREE copy of a Prepper Pete Book? We randomly select a few winners for each release of a new book in the series. All you have to do is LIKE our facebook page for a chance to win! September 12, 2014 UncategorizedKermit Jones, Jr.
One of the best benefits of the Prepper Pete series is that I’ve had the privilege of getting to know some pretty neat people in the prepping community over the past year or so. One of the few incoming emails I check with every posting is from Christ Ray of PreparedChristian.net. The site provides quality information and is consistently listed in the Top 10 of many prepping blogs like TopPrepperWebsites.com. Chris also recently started the Preparedness Club, which lists some pretty sweet Prepping deals on a daily basis ranging from monthly giveaways to discounts and free copies of ebooks (like a free Prepper Pete ebook with proof of purchase!). There are several reasons to join, so check ’em out. The Prepper Pete books are children’s books that explore preparedness related topics in ways that are easy for children to understand. 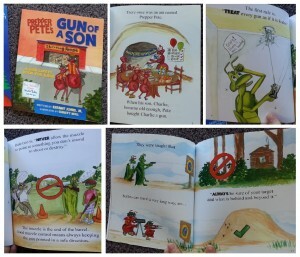 Gun of a Son is the third installment of the Prepper Pete books… The book also shows the mistakes made by the grasshopper to show the dangers of making mistakes. This is probably my favorite aspect of the book, as I believe the visual example of why we don’t do things will help some children learn the concept better. Read the rest here. 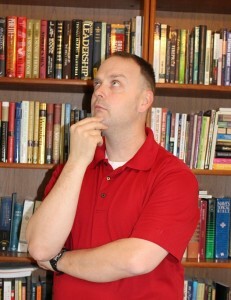 One of the comments by Dr. Michael Harris mentioned that he’d like to be able to sneak a peek at some of the interior to decide if they were the type of books he’s looking for. Chris, always engaged as he is, suggested Amazon’s “Look Inside” and I figured I could reveal a few, as well! February 28, 2014 Interview, Prepper Pete, Review, UncategorizedKermit Jones, Jr.
“Could you use a little help introducing your children or grandchildren to prepping? It’s Prepper Pete to the rescue! Who Is Prepper Pete, Anyway? Prepper Pete is the creation of Kermit Jones, Jr., who has written fun and colorful books aimed at introducing young children to preparedness. 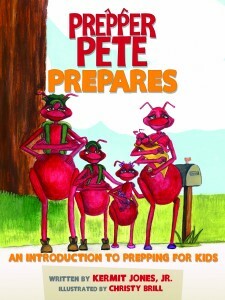 As the book cover shows, Prepper Pete is an ant. You remember the little story about the ant and the grasshopper and how the ant was busy preparing to survive winter. Then there are Scripture verses from Proverbs chapter 6 urging us to look to the ant as a positive example. So who is Kermit Jones, Jr.? He was my guest on this week’s DestinySurvival Radio. I’ll let him tell you more in his own words from bio info he gave me. I was surprised during our conversation to find he came to preparedness through a different route than his military background. It so happens that his life’s experiences have provided stepping stones for prepping. Check out the blog post and the 50 minute interview! February 27, 2014 UncategorizedKermit Jones, Jr.
Read the rest of this review here! February 17, 2014 UncategorizedKermit Jones, Jr.
February 8, 2014 UncategorizedKermit Jones, Jr.
I’ve been waiting for this one for quite some time! Gaye over at Backdoor Survival has Book Festivals throughout the year with some great summaries and reviews. Today she brings us comments about my favorite book – Prepper Pete Prepares! Head over, check it out, and leave a comment for a chance to win a copy. “After awhile, one prepping book starts to look like another. It does not really matter whether it is fiction or non-fiction, they all tend to have a common theme. Now don’t get me wrong, I thirst for – no crave for – more. Every book has its own twist on the survival and preparedness message so I keep reading and reading and reading. Okay, you get the drift. Anyway, today’s book is something unique and different. 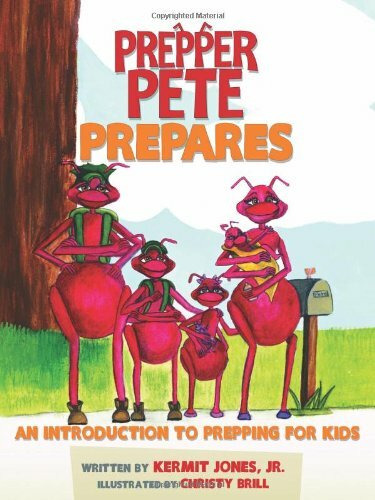 Prepper Pete Prepares is an introduction to prepping for the kiddos – you know, those little guys and gals that motivate us to keep our planet and world safe for generations to come. December 11, 2013 UncategorizedKermit Jones, Jr.
Perhaps one of the most exciting reviews we’ve had to date, given the visibility level that immediately ensued! Avalanche Lily is James Wesley, Rawles’ wife. December 10, 2013 UncategorizedKermit Jones, Jr. I will be bringing more content to the blog in the near future. In the meantime, I have been asked to write a few articles for the upcoming magazine, Prepped and Prepared. Excited doesn’t quite describe how I feel, but please check it out and consider a subscription – it’s also a great opportunity to advertise, as well! Tell them Kermit sent you! See other books in the series and grab a copy of your favorite one today!